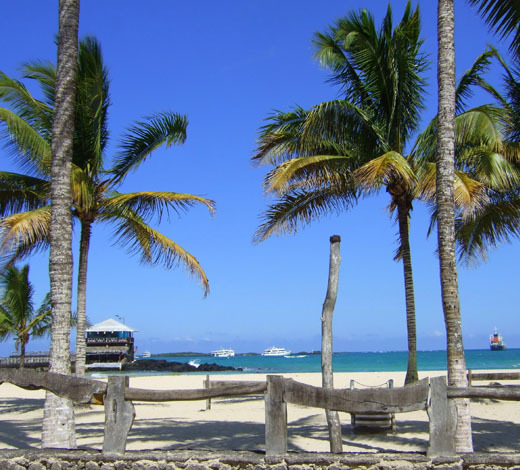 After breakfast, transfer to the airport for your flight to Baltra. 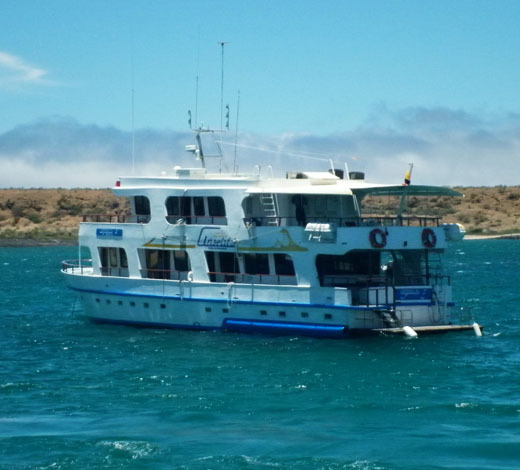 Arrival, reception and transfer across the Itabaca Channel and onward to Puerto Ayora, the capital of Santa Cruz. 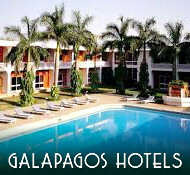 Check in to your hotel and lunch before a visit to the Charles Darwin Centre for an important orientation of the Galapagos Islands. The station is also a tortoise breeding centre, where tortoises of different species are prepared for reintroduction into their natural habitats. The most famous inhabitant is probably Lonesome George, the only survivor of this specific turtle species. Return to your hotel for dinner and a brief on the days to come. After early breakfast, we drive up to the highlands of Santa Cruz where we shall start our mountain biking tour. The first part of the ride follows a track 5 km long and sometimes very muddy on to El Chato. This is a giant tortoise wild reserve, where you can see free-roaming giant tortoises placidly grazing in the lush vegetation, and often lying camouflaged, like half submerged boulders. The vegetation is composed of high scalesia, guayabillo (Psidium sp.) and pega pega (Pisonia floribunda) grasses. As you ride through the forest, listen carefully for the sound of heavy foot steps and the sound of shrubs being slowly crushed, as this is the place where theses ancient reptiles make their way through the brush in search of water and plants to enjoy a meal. This will allow us to get close to and quietly observe these peaceful animals. A chance to enjoy this reserve before we make a visit to the lava tubes in the area which together with the tunnels of Northwest of Australia is amongst the largest in the world. We continue our bike tour up through the highlands of Santa Cruz to visit Los Gemelos (the twins). Los Gemelos refers to the dramatic, twin volcanic sink holes, formed when surface magma chambers collapsed, causing the upper crust to sink, following circumferential fissures. These two pit craters more than 30m deep illustrate the volcanic origin of the islands. This whole area is cloaked in the humid tropical zone of the scalesia forest, giving it a pre-historical feel, typical of cloud forest vegetation. A few trails wander around the craters, and provide the perfect place for photography and walking, in addition to bird watching. Many land birds may be seen, such as the vermillion flycatcher, warblers, darwin finches, as well as bromeliads and orchids. We shall enjoy a snack before we descend the long road down to the Itabaca Channel. After riding mostly downhill for an hour, we shall arrival to the port for another snack whilst listening to our safety brief. We then don our life jackets before venturing out into the channel in our single kayaks. The one hour journey, fully supported by boat and crew will take us to the beautiful and secluded beaches of Las Bachas on the far shore of Baltra. Here a beautiful stretch of sandy beach, site of nesting turtles will provide an idyllic picnic lunch. After a delicious lunch, snorkel in the warm waters with the friendly sea lions before returning to the port and back to Puerto Ayora. Return to your hotel and dinner. Today we shall unwind slightly from the day before and enjoy a guided visit to the beautiful island of North Seymour. After breakfast, transfer to the port on the other side of the island where we shall board a comfortable motor yacht for the journey to North Seymour. The journey will take a little over two hours from Santa Cruz. Upon arrival to the island, we are immediately captivated by the abundance of tame wildlife, ranging from sea lions, numerous seabirds to basking marine iguanas. 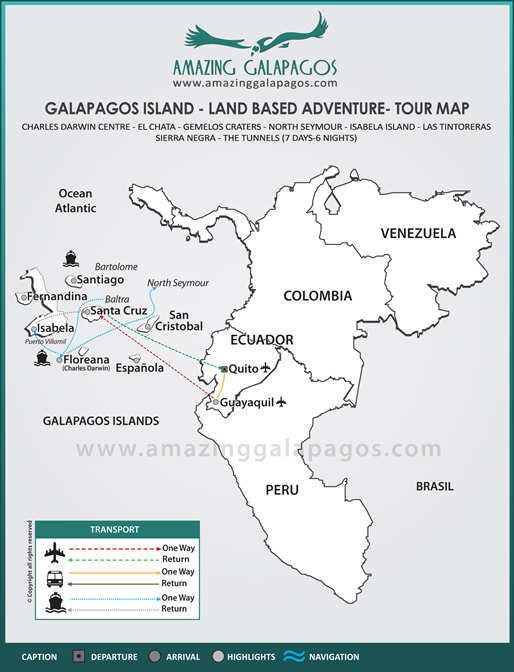 A guided excursion on foot which will allow us to view land iguanas feeding on the cacti, observe the courtship displays of the magnificent frigate bird and witness the indigenous blue-footed booby. The walk around the island will take around two hours allowing for plenty of opportunity for photography. We shall reach the other side of this small island where we rejoin our yacht. The trip continues to some rocky islets where we disembark in a small boat to begin our snorkeling adventure with sea lions and marine iguanas. If lucky, we may even see sharks and rays. After snorkeling along the coast of the islet, we return to the boat for lunch. We return to Santa Cruz in the late afternoon where we are transferred to our hotel for dinner and accommodation. After breakfast, transfer to the port for the motor boat trip to the island of Isabela, some two hours west of Santa Cruz (recommended from January to May only). 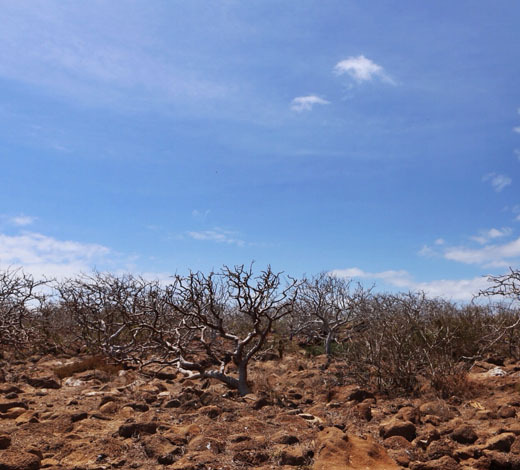 Isabela is one of the youngest islands of the entire Galapagos archipelago and offers a fascinating insight into the volcanic origins of the islands. Once you arrive to Pueto Villamil, the capital of Isabela Island, reception and transfer to La Casa de Marita, a delightful lodge located on the beach. 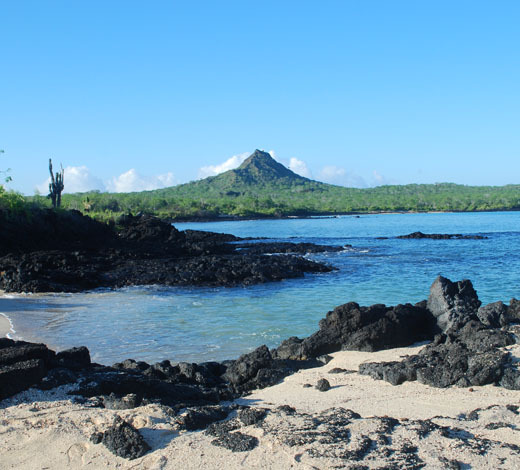 After lunch, we shall take a boat ride out to Las Tintoreras, where we shall see fascinating lava formations and enjoy a visit to the colony of marine iguanas and sea lions. 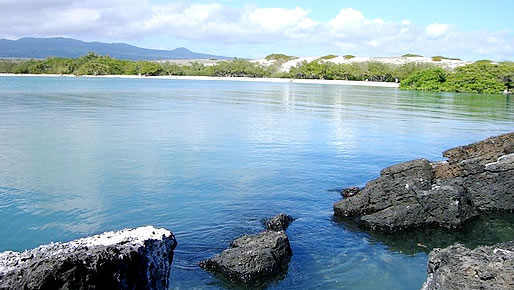 There will also be an opportunity for snorkeling with sea turtles and the "Tintoreras" (white tipped shark). If lucky, we may also see eagle rays, sting rays and golden rays. We shall return to the main island, observing colonies of Humboldt penguins, blue footed boobies, pelicans and frigates along the way. Return to your lodge for dinner and accommodation. After breakfast, we will leave the town by pickup truck and head towards the highlands. Once in the highlands, we will collect our horses, saddle up and start our horseback riding tour to Sierra Negra and to the Chico Volcano, both of which still active. The Sierra Negra is one of the finest examples of a volcano in the archipelago. It is also the second largest crater in the world after the Ngorongoro crater in Africa, and has an immense caldera, around 10 km. in diameter, and is the oldest on the Island. It last erupted in October 2005. The weather is often clear and good but it can also turn to rain and fog very rapidly so it is recommended to wear long trousers for the horseback riding. During the trip to the volcanoes, the different vegetation of the island will be observed, and once at the Chico Volcano you will be able to see the various types of lava according its age, in addition to "fumaroles" and boiler eyes; and from the northern part of the boiler, we will enjoy excellent views of the Perry's Isthmus, Elizabeth Bay and even the Alcedo Volcano. We shall enjoy a picnic lunch before returning to Puerto Villamil. Upon arriving to Puerto Villamil, we shall visit the famous TortoiseRaisingCenter, and walk along the footpaths to the beautiful brackish lakes that are a refuge to flamingos and other birds. We shall finally arrive to the famous "Muro de las Lagrimas" (Wall of the Tears) constructed of lava rocks and which was once used as a punishment for the penal colony that inhabited this area in 1959. More than 200 prisoners had constructed the wall whose only ruins are an enormous basalt wall of 50m in length, 5m wide and almost 8m high. Behind the wall, there is a footpath that leads up to a a beautiful view of the sea. Return to your lodge for dinner and accommodation. After breakfast, we will have a boat ride out to the Lava Tunnels of Isabela (two hours), an incredible natural aquarium of channels, black lava tunnels and bridges rarely visited and a fabulous site for snorkeling. Here we will find incredibly clear water, white sand and fish of all colours and sizes. Along the way sea turtles, rays, sea lions and different marine birds may be observed. Return to Puerto Villamil for lunch before boarding the afternoon boat back to the island of Santa Cruz. Arrival and transfer to your hotel for dinner and your final night's accommodation in the islands.